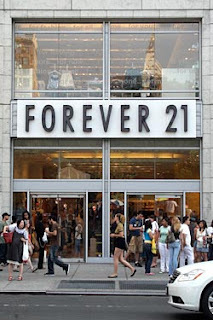 In case you missed it....According to WWD, Forever 21 will be launching a beauty and home line by the end of this year. There's also word that an F21 Magazine is in the works. There's no details yet on what exactly the lines will include... so I guess we'll have to wait and see.